Below you fill find all funeral homes and cemeteries in or near Hummelstown. Suburbs of Hummelstown: Brownstone, Hoernerstown, South Hanover, Stoverdale, Waltonville. Hummelstown is also known as: Dauphin County / Hummelstown borough. Their current mayor is Mayor Bradley Miller. Zip codes in the city: 17036. Some of the notable people born here have been: Bill Gaudette (football player), and Chris Villarrial (american football player and coach). Hummelstown is a borough in Dauphin County, Pennsylvania, United States. The population was 4,360 in the 2000 census. It is part of the Harrisburg–Carlisle Metropolitan Statistical Area.Originally named Fredrickstown, the village was established in 1762. The borough's mayor is Bradley Miller. Hummelstown is a Tree City and is in District 15 of the Pennsylvania Senate. 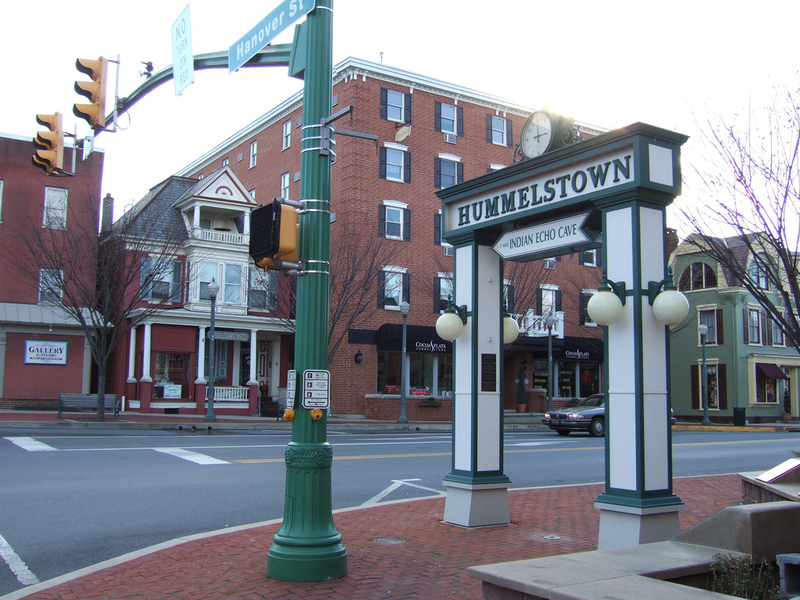 Hummelstown is centrally located between Harrisburg and Hershey; making it a common tourist drive-through and it has several businesses and shops designed to capitalize on the amount of tourist travel through the small town. It was revealed by Hartford Courant on December 19th, 2018 that Anna Mary Sell (Wagner) perished in Connecticut. Ms. Sell was 100 years old and was born in Hummelstown, PA. Send flowers to express your sympathy and honor Anna Mary's life. It was disclosed on August 11th, 2016 that Albert Cary "Al" Hills passed on in Hummelstown, Pennsylvania. Hills was 74 years old and was born in Northampton, MA. Send flowers to share your condolences and honor Albert Cary "Al"'s life. It was revealed by The Daily Tribune on July 31st, 2016 that Stanley M Brandt perished in Royal Oak, Michigan. Brandt was 95 years old and was born in Hummelstown, PA. Send flowers to express your sorrow and honor Stanley M's life. It was written by Johnstown Tribune-Democrat on May 3rd, 2016 that Michael Charles Elliott passed on in Hummelstown, Pennsylvania. Elliott was 67 years old. Send flowers to express your sorrow and honor Michael Charles's life. It was reported by The Sentinel on November 3rd, 2013 that Robert Ross Fellman perished in Hummelstown, Pennsylvania. Fellman was 57 years old. Send flowers to express your sympathy and honor Robert Ross's life. It was written by Johnstown Tribune-Democrat on February 27th, 2013 that Thomas "Chris" Christofes perished in Hummelstown, Pennsylvania. Christofes was 81 years old. Send flowers to express your sorrow and honor Thomas "Chris"'s life. It was written by Juniata Sentinel on February 20th, 2013 that Joshua E Richmond passed away in Hummelstown, Pennsylvania. Richmond was 31 years old and was born in Hinesville, GA. Send flowers to express your sorrow and honor Joshua E's life. It was reported by Sarasota Herald-Tribune on September 30th, 2012 that William Richard Habbyshaw passed away in Sarasota, Florida. Habbyshaw was 92 years old and was born in Hummelstown, PA. Send flowers to express your sympathy and honor William Richard's life. It was revealed by Knoxville News-Sentinel on September 26th, 2012 that Fran Irwin passed on in Crossville, Tennessee. Irwin was 85 years old and was born in Hummelstown, PA. Send flowers to express your sorrow and honor Fran's life. It was revealed by Tampa Tribune on September 15th, 2012 that Joyce L Shertzer (Martin) perished in Ocala, Florida. Ms. Shertzer was 77 years old and was born in Hummelstown, PA. Send flowers to express your sympathy and honor Joyce L's life. Hummelstown is also home to 'The Sun (Hummelstown) Sun' newspaper, which covers Hummelstown, Hershey, Pennsylvania and the Lower Dauphin County area. The Hummelstown Historical Society is both a museum and visitor center. The town is home to a historical landmark, the Warwick Hotel, which is still a tavern reminiscent of its pre-American Revolution War days. The population was 4,360 as of the 2000 United States Census census. The Indian Echo Caverns are one of the main attractions near Hummelstown. The official website for the city of Hummelstown is http://www.hummelstown.net/. Here are the results for funeral homes in Hummelstown Pennsylvania. You can find some of the best funeral homes businesses serving Hummelstown. Trefz & Bowser Funeral Home Incorporated, Hummelstown, PA : Reviews and maps - Yahoo! Local, 717.566.0451. Get Ratings, Reviews, Photos and more on Yahoo! Local. We work with local florists and flower shops to offer same day delivery. You will find budget sympathy flowers in Hummelstown here. Our funeral flowers are cheap in price but not in value.